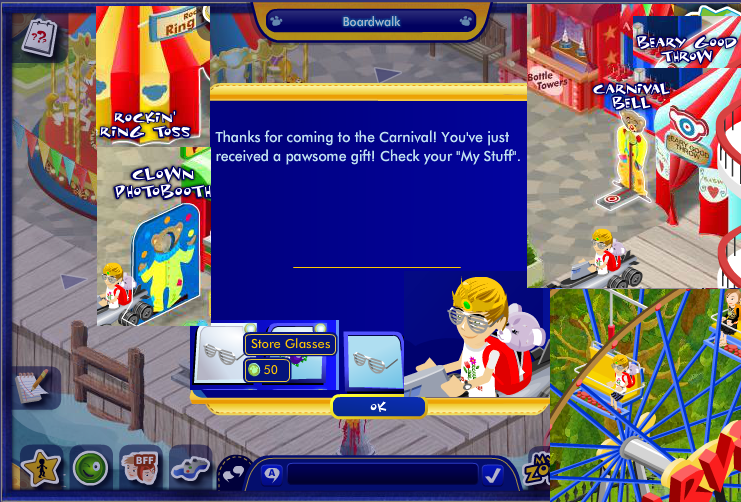 Carnival minigames available again. gift when you first visit. Carnival Bell gives furniture to first time players. love the view from the ferris wheel. would be great if each animal rode in different seat (or two or more to seat).